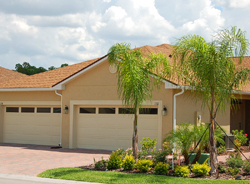 Choose From The Best Retirement Homes For Sale Florida Has To Offer! If you are looking to retire and are seeking homes for sale, Florida offers you a retirement community that caters to your lifestyle. 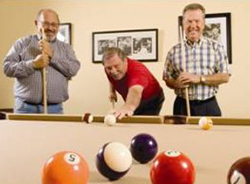 Vienna Square is a Florida retirement community that is focused on our residents and their active adult lifestyles. We offer site built homes and villas, a community clubhouse and more for your enjoyment and all of it is extremely affordable. We offer different floor plans of our retirement homes for sale. Florida is home to our community where we offer you resort-style convenience and active living. You can enjoy day trips to the beach or visit Orlando and Tampa for a day at Disney World or Busch Gardens. You can also enjoy the sights and sounds of the local area. We offer you the independence of traveling and living at your own pace. You will get to enjoy all of the amenities and events when you live in Vienna Square and purchase one of our retirement homes for sale. Florida residents enjoy the outdoors and Vienna Square makes way for many outdoor activities with an outdoor swimming pool and spa, tennis, biking and more. We offer movie night, game night and tournaments. We offer clubs, groups and luncheons, parties and karaoke. We even celebrate holidays with parades and more. There is so much MORE to do and enjoy at Vienna Square. Many Florida retirement communities give you the opportunity to enjoy the events and amenities of their communities but with limitations or restrictions on traveling or without the homeownership benefit. It is important to take into consideration the features that come with the home and the area or neighborhood where the home is located when you look for homes for sale. Florida retirees enjoy our homes and villas because they include basic cable television and monitored home security systems for your safety and peace of mind. Many retirement communities cannot deliver luxury and lifestyle like we can. 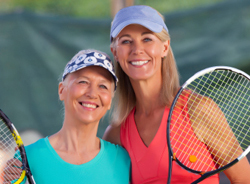 We have re-invented retirement to provide you with comfort and care. You do not have to worry about your wellbeing. Leave that to us. Our Secure Care Pledge is to provide you with the best care in the industry in the comforts of your own home. We have a full range of care services at your disposal if you need them. 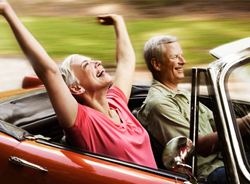 It is time you considered where you want to retire and what types of hobbies or activities you most enjoy. Our staff is friendly and professional and ready to help you make your decision as to where is the best place for you to purchase a home. We invite you to contact us and learn more about Vienna Square and ask about our homes for sale. Florida is ready for you to enjoy the warm weather all year long.